Home / Articles / What To Do To Heal A Broken Heart? Heartbreak comes from loss, separation, hurt, death or just a plain old breakup. It could never be an easy subject to discuss about and we’ve all experienced it at one point or another. Although extremely strong, our hearts are also incredibly sensitive, and that’s why you need to learn these powerful exercises to heal a broken heart. To quote a wise psychic, “The mind knows what it should do, but the heart wants what it wants.” That’s why these nine powerful exercises take a two-pronged approach to healing—they heal the logical side and the energetic side. You’re about to get some advice that covers it all and translates into powerful exercises that can heal a broken heart. Get back to the place where you can both give and receive love again! Yes, grieving a relationship and nurturing a broken heart are healthy things to do, but it’s not healthy to do them for too long. Let yourself grieve for a healthy amount of time and engage in self-care rituals. Then move on. You don’t want to carry this baggage into a new relationship. 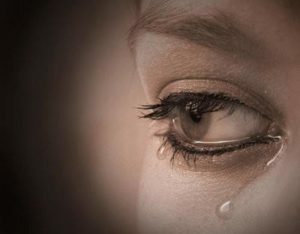 Though you may want to stay friends with your ex or maintain a relationship with his/her friends, you’ll never heal your broken heart if you maintain a connection to them. And if you and your ex maintain the physical end of your relationship while being disconnected emotionally, you’ll just wind up as friends with benefits, and that won’t help you heal your relationship or your broken heart. With the onset of Facebook, Instagram, Twitter and all the other venues of voyeurism, this is probably one of the biggest hurdles to get over. It can be beyond tempting to take a peek and see what your ex is up to. Or worse, the temptation to engage in a social media squabble may be too hard to resist for some, so just block or remove them all together. Don’t waste your time being a social stalker! Just get out and live your own life. While in a relationship, so much of your life revolves around being part of a couple. This feels normal, but it can also mean you’re losing part of your individualism. While you’re nursing your broken heart, get to know yourself again. Then show the world who you are! Eventually, you will find yourself again—or even a new or better you. The more effort you make, the quicker you’ll be able to heal your broken heart. It’s true, you can fake a smile and trick your brain into feeling happy. So show those pearly whites! Eventually, you’ll feel on the inside what you project on the outside. Chakras are wheels of energy found throughout your body—seven of them run along the spine, and one of those is your heart chakra. When your heart is broken, your heart chakra definitely needs a little TLC. Also, since they all work as a team, if one chakra is not working properly, all of the others cannot work effectively either. You can find videos on the Web to assist you in realigning your chakras. Take a walk outside and kick off your shoes. Stand in grass, dirt, sand or just about anywhere with your feet apart just enough to balance, and feel the earth beneath your feet. Close your eyes and imagine yourself connecting to the Earth. You can keep it simple or expand your connection, but doing this for just five or 10 minutes a day will help you feel more grounded and centered. Try one of these powerful exercises or try them all. They will help you feel whole and happy again, and most importantly, they’ll help you heal a broken heart.